We are excited you are interested in BMX! All riders must have a membership through USA BMX in order to practice or ride on the track. Desoto BMX gives a free 1 day trial membership and waives the cost of the practice for the night you want to try it out. Once you have tried it for the first time, you must get a membership. There are family discounts for memberships. Cost of 1 year membership- $60, includes a monthy magazine for PULL and the yearly membership that allows you ride at any USA BMX sanctioned trak in the United States. 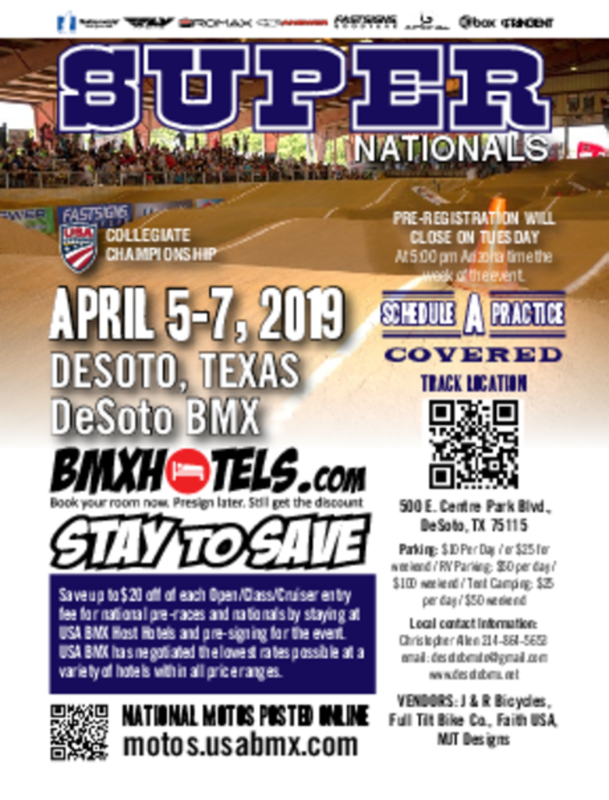 Desoto BMX offers a race card if you sign up for a full one year membership and you race 5 races, then you will get your 6th race for FREE! This video highlights everything you need to know about bmx! First Time Riders will neeed: a bike, long sleeves, long pants, and closed toed shoes. The rider will need a helmet too, but we have loaners. Just come ride and you will love it! If you have any questions please contact us! We look forward to seeing you on the track!